Nothing exciting has been going on for the last few weeks. The tourist season is coming to an end and quite frankly, I am pleased. I do prefer the winter here (apart from the weather) as there is a much different atmosphere, one which is a lot more relaxed. Having said I prefer the winter here, I will actually miss a fair bit of it as I have to go to Australia for work. We have opened a new office out there and they have asked me to go out and give the staff training in the more technical aspects of the job, "poker work". I am excited but equally dreading it. As most of you will know, I am terrified of flying so the thought of spending 36 hours on a plane does not fill me with confidence. Having said that, we are travelling first class so hopefully I will be able to get a a fair amount of sleep. We fly out on the 21st but have decided to stop over in Hong Kong for a few days to break the trip up a little. As I have been there many times before, it will be good to show Justine some of the sites such as The Peak (this is the most incredible view you are likely to see). 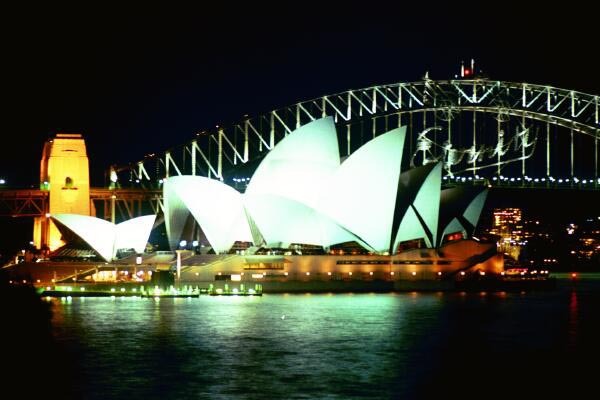 After that, we will arrive in to Sydney on the 25th November. We will then work through until the 6th January and then have a two weeks holiday before returning home on the 20th January. It should be good to see the Sydney Harbour Bridge on New Years Eve. I have seen it on TV and it does look quite spectacular. One of my friends has also suggested that Christmas Day on Bondi Beach is quite an experience also. As part of the "holiday section" of the trip, we plan to go to New Zealand as I would love to see the Orcas, Sperm Whales and Dolphins that Kaikoura (just North of Christchurch) has to offer. It should be one hell of an experience. On top of that, one of the largest Poker events of the year is being held in Melbourne, The Aussie Millions. I am undecided whether to fly down there to play the event or use the extra time to explore a little. I note that there are also plenty of cheap flights to Fiji, Tonga and Samoa from Sydney so that is an option. Besides, that, I got the greatest phone/PDA I have ever had the other day. The make is HTC and the model is TyTN (pronounced Titan). It has full internet access (not WAP access), has wi-fi so I can connect wirelessly anywhere in the world, MSN Messenger, loads of awesome programs a full keyboard that pulls out (although the phone is small) and you can use handwriting on the screen if you prefer! It wasn't the cheapest thing on earth but it is worth every penny.